Carrie Ungerman was born and raised in Dallas, TX and lives and works in Los Angeles, Calif. Her work often takes the form of large scale site-specific sculpture, installation and wall works whose ephemerality is offset and underscored by labor intensive processes. Her work has been exhibited extensively in Southern California and she has participated in exhibitions in Europe and Israel. 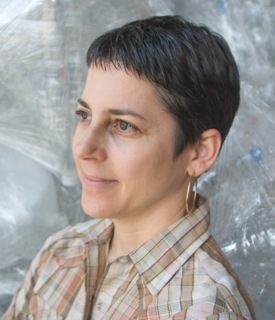 Ungerman is the recipient of the California Community Foundation Fellowship (CCF), the City of Los Angeles Individual Artist Fellowship (COLA) and a Durfee ARC Grant. She received her BA from Brandeis University and a BFA and MFA from California Institute of the Arts and attended Skowhegan School of Painting and Sculpture.